Jerry Hendrix has launched an impressive salvo in the apparently endless “carrier wars.” In a recent report for the Center for a New American Security, Hendrix examined the role that the aircraft carrier has played in U.S. naval doctrine and planning for the past seventy years, and evaluated new challenges to the centrality of the carrier battle group. Hendrix traces the history of the carrier air wing, with emphasis on how the World War II experience led American naval aviators to appreciate the need for long range attack aircraft. Especially late in the war, the effectiveness of Japanese land-based kamikaze aircraft helped create interest in longer range attack planes, which in turn drove an increase in deck and ship size. This culminated in the mid-1970s, when US carrier wings could boast the long-range F-14 interceptor and the A-6 strike aircraft, as well as organic aerial refueling capabilities. From this peak, the focus on range receded. Hendrix lingers on the failure of the A-12, the stealth capable successor to the A-6 Intruder. The cancellation of the A-12 forced the Navy to invest heavily in the F/A-18 Super Hornet airframe in order to keep numbers up and sortie rates high. By settling for the Super Hornet, however, the Navy gave up on long-range strike. Hendrix argues that this decision, perhaps understandable in the immediate post-Cold War context of no major peer competitor threats, has left the U.S. carrier fleet vulnerable to systems such as China’s DF-21 anti-ship ballistic missile, as well as a bevy of anti-ship cruise missiles. Without deep penetration strike aircraft, a U.S. carrier has no effective answer to such long range systems. The current “Hornet heavy” air-wing is extremely useful for conducting large numbers of short-range attack sorties in permissive environments, but would prove disastrous in a war against a foe that could plausibly threaten both the carrier and the aircraft. 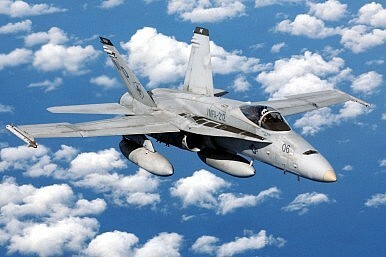 It’s worth thinking about what the Navy would look like without the Super Hornet. The A-12 was a disaster of a program, but even a well-conceived project would have suffered in the 1990s, potentially leaving the Navy without either the Super Hornet or a sufficient number of A-12s to conduct effective long-range strike operations. The relatively light weapons payload of the A-12 would have exacerbated this problem. And even a stealthy, long-range platform such as the A-12 would struggle to match the range of China’s anti-access forces, especially its precision-guided ballistic missiles. The Super Hornet, its shortcomings notwithstanding, has given the Navy a better capacity to contribute to the conflicts of the last decade than the A-12 (although modernized A-6 Intruders might have done even better). With respect to the future, one of Hendrix’ answers is to de-emphasize the large, expensive aircraft carrier in U.S. power projection efforts. Another is to focus on the development of long-range strike aircraft, probably unmanned, that can rebuild the capabilities that the carrier air wing enjoyed in the 1970s. Hendrix offers both slow and fast options for rebuilding this capability, with corresponding security and financial risks on either side. Jack Curtis offers some other options, including taking advantage of the maneuverability of the aircraft carrier (and the vulnerability of the recon portion of the Chinese reconnaissance-strike complex) to reduce the overall vulnerability of the carrier strike group to Chinese attacks. The carrier will survive without long-range strike. other countries, such as China, the United Kingdom, and Russia, continue to build carriers that lack anything approaching the mass, range, and payload capabilities of U.S. ships. The U.S. Navy itself has built a sizable force of light carriers which cannot conduct long-range penetration strikes, but which can undertake a bevy of other missions. However, Hendrix’s contribution frames current capabilities within long-term trends, making it a must-read for aficionados of the carrier wars. The United States' Navy still faces a vibrant debate on the future of its aircraft carriers and supercarriers.